type can be fine tuned for the best experience. They use a relatively simple burner system which is safe and easy to use. Users can select from a wide array of colorful designs and styles which are created with materials like rock and ceramics. 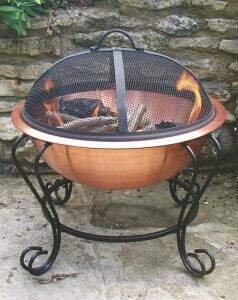 Fuel for a gas fire pit is delivered via a tube which is directly connected to the burner. The burner is a hollow steel ring which has holes cut into the top at equal intervals. The gas comes out of all these little holes, creating lots of tiny flames which together form one big flame. Propane gas from a tank is held under pressure, releasing only when the valve on the tank is opened. When the user opens the valve, the gas begins to travel through the tube and out the burner. Lighting the gas immediately is important in preventing gas build-up. Propane has the distinct smell of cabbage, when not burned; serving as a good indicator that gas may be leaking. In the picture, you can see an example of a burner ring on the left. Look closely and you can see tiny holes drilled into the top. This is where the gas comes out. The tube on the right connects the tank and the burner. The valve attached to the tube connects directly to a propane tank. A different tube is needed connection to a natural gas line is intended. A hole drilled into the base of the fire bowl allows the tube and burner to connect with an adapter. All of these pieces can be dismantled for cleaning, but make sure to re-assemble the pieces exactly the way they came apart to avoid gas leaks. 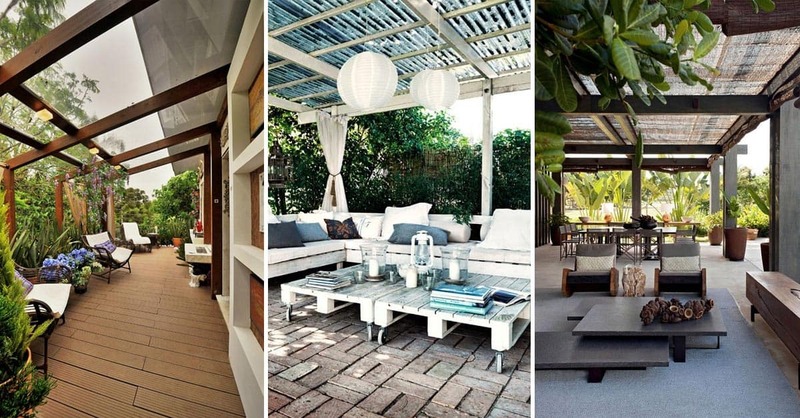 1) Find a flat surface such as a concrete or brick paved patio. 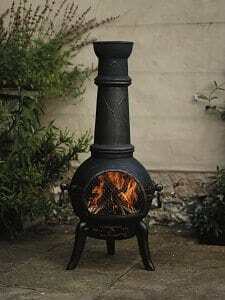 2) Set the fire pit in the intended location and hook it up to the fuel source, taking care to screw the connections together firmly. 3) Open the valve on the tank / natural gas fuel source. Do not open it all the way. 4) Light the flames. 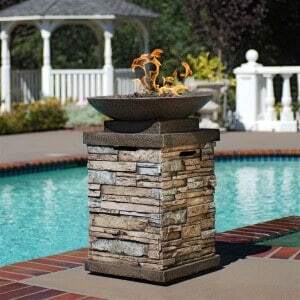 Some fire pits have battery powered switches, while others require match or lighter ignition. Take care to keep your head and torso away from the top of the pit. 5) Once lit, adjust the valve on gas line until the temperature is just right. 6) To turn off, simply close the fuel line valve. Outdoor gas fire pits produce a flame like no other. The behavior of the flames can be altered based on what type of filler materials are placed in the bowl. Filler materials are designed to add a decorative touch and personalization to a fire pit. Users can select from different colored rocks, glass or even artificial logs. Burning an outdoor gas fire pit with fake logs produces a fairly predictable flame, flowing around the sides of the logs. Using small rocks is especially interesting, as the flames constantly change places as they find the path of least resistance through the decorative medium. The ability to adjust a propane or natural gas fire pit allows for any area of the yard to be thermally controlled with precision.